DAYTONA BEACH, Fla., August 29, 2017 – The Ladies Professional Golf Association (LPGA) and Kingsmill Resort announced today a contract extension for the Kingsmill Championship on Tuesday. Kingsmill Resort, which has held the Kingsmill Championship tournament annually since 2003, will renew its title sponsorship for an additional three years (2018-2020). www.LPGA.com. Join the social conversation at www.facebook.com/lpga, www.twitter.com/lpga and www.youtube.com/lpgavideo, and on Instagram and Snapchat at @lpga_tour. With 2,456% growth in revenues over a three-year period, the distinction on the 36th annual Inc. 5000 list places Arcis Golf among such prestigious company as Microsoft, Domino’s Pizza, Timberland, LinkedIn, Yelp, Zillow, Vizio, Intuit, Chobani, Oracle, Zappos.com and many other well-known names – all past recipients of the Inc. 5000 recognition. Arcis Golf will be among the companies honored at the 36th Annual Inc. 5000 Conference and Gala, to be held Oct. 10-12 in Palm Desert, Calif. For more information visit www.inc.com. HUNTINGTON BEACH, Calif. — August 7, 2017 — CLEVELAND GOLF® woods and irons are back with powerful technologies that help avid golfers experience faster ball speeds, more distance, and added control. Optimized for dedicated golfers who prefer forgiving clubs that launch the ball high and straight, Cleveland Golf’s new woods and irons will launch in North America on Sept. 15, 2017. Since 1979, Cleveland Golf equipment has brought industry-leading performance to professional and amateur golfers alike. In keeping with that legacy, Launcher Woods and Irons combine Cleveland Golf’s most popular club technologies with new performance innovations that provide avid golfers with the distance, forgiveness, and control they demand. 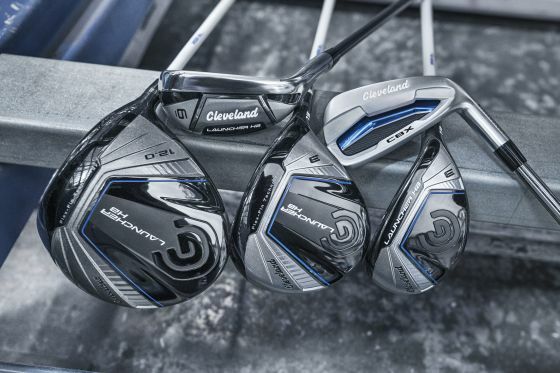 Brian Schielke, Marketing Director at Cleveland Golf, explained why the company’s woods and irons are back: “When we looked into the woods and irons markets we saw a major disconnect. Prices are increasing dramatically while golfers aren’t seeing significant performance gains. So we set out to create new woods and irons with true performance benefits that are obvious the moment a golfer swings one of these clubs. The new Launcher HB Driver, Fairway Woods and Hybrids utilize performance technologies that help golfers launch the ball far and straight. The clubs employ a redesigned HiBore Crown, ultra-lightweight hosel, Flex-Fin Technology, Low and Deep Weighting and a Launcher Cup Face to deliver the distance and forgiveness sought after by most golfers. Launcher CBX Irons combine all of Cleveland Golf’s proven wedge spin technologies with a forgiving cavity back design. 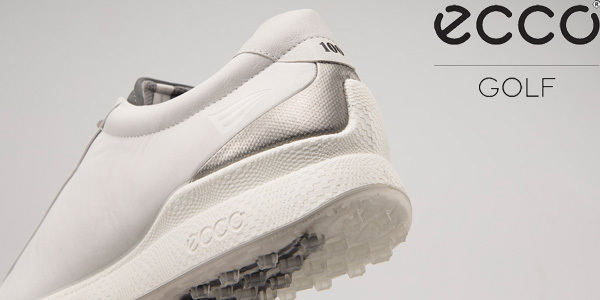 Progressive shaping, Feel Balancing TechnologyTM and a V shaped sole work in tandem to increase forgiveness. Tour Zip Grooves and Laser Milling produce high levels of spin from the fairway and the rough, providing dramatically improved control around the course. With the fully-hollow Launcher HB Irons, Cleveland Golf improves upon one of their most popular iron designs. The extremely forgiving irons use a high-strength steel face, HiBore Crown, and hybrid-like design to help golfers launch the ball higher and farther than typical cavity back irons. Launcher Woods and Irons will be available for pre-sale at select retailers on Aug. 28, 2017 and will launch throughout North America on Sept. 15, 2017. FRENCH LICK, IN – The legacy of women’s golf at French Lick Resort was on full display this summer with the Senior LPGA Championship presented by Old National Bank, the first ever senior women’s major championship, and the Symetra Tour’s Donald Ross Classic at French Lick. 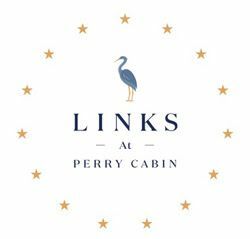 A field of 81 players, featuring a collection of past greats in the women’s game including LPGA Hall-of-Famers, current LPGA members and major champions over the age of 45, will compete on the spectacular Pete Dye Course. The 54-hole event offers a total purse of $600,000. The Symetra Tour’s 54-hole tournament played on the Donald Ross Course will have a purse of $200,000. French Lick Resort is a $600 million historic restoration and casino development spread dramatically across 3,000 scenic acres. It encompasses both the French Lick Springs Hotel and the West Baden Springs Hotel, which have been fully restored to their original sophistication and luxury, combine for 689 rooms and are located about one mile apart. The casino, built adjacent to the French Lick Springs Hotel, opened in 2006. West Baden Springs, with its spectacular massive dome, opened in 2007 after having not been used for its original luxurious purpose since 1932. Other facilities and amenities at this world-class golf resort destination include two spas with a 36 treatment rooms (they continue to offer the Pluto Miner- al Springs bath), over 51,000 square feet of gaming space, 165,000 square feet of meeting space and a variety of dining and entertainment options. Free shuttle buses serve golfers and visitors from around the world. Visit www.frenchlick.com. The Symetra Tour — Road to the LPGA is the official developmental tour of the LPGA and concluded its 36th competitive season in 2016. With the support of its umbrella partner, Symetra, the Tour’s mission is to prepare the world’s best young women professional golfers for a successful career on the LPGA Tour. Since Symetra’s inaugural sponsorship year in 2012, the Symetra Tour has grown from 16 tournaments and $1.7M in prize money to $3.5M in prize money awarded over the course of 23 tournaments — the most events since 1988. With more than 600 alumnae moving on to the LPGA, former Symetra Tour players have won a total of 418 LPGA titles. Follow the Symetra Tour on the web at www.SymetraTour.com, Facebook.com/RoadtotheLPGA, Twitter.com/Road2LPGA, and YouTube.com/Road2LPGA.